Two of the Midlands’ foremost orchestras, the Worcester-based English Symphony Orchestra (ESO) and the Stratford-upon-Avon based Orchestra of the Swan (OOTS), join forces in 2018 and 2019 for “David Matthews in The Heart of England”, a year-long celebration bringing together musicians, venues and festivals to commemorate the distinguished English composer’s 75th birthday. The inaugural event takes place on 9 May 2018 at St. George’s Bristol, when the ESO and Artistic Director Kenneth Woods premiere Matthews’ Symphony No. 9 as the second instalment in the orchestra’s celebrated 21st Century Symphony Project. The sold-out concert, which comprises part of the venue’s re-opening festivities following a major renovation, also includes Donald Fraser’s acclaimed orchestration of Edward Elgar’s Piano Quintet (a 2016 Classical Music Magazine Premiere of the Year) and Elgar’s Cello Concerto with BBC Young Musician of the Year Sheku Kanneh-Mason. Matthews’ Ninth Symphony is a thirty-minute work in five movements which grew out of a short Advent carol that he wrote for his wife Jenifer. Coinciding with the performance, Woods and the ESO will make a studio recording of Matthews' Ninth Symphony for Nimbus Records. The occasion also sees Matthews taking on the “John McCabe Composer-in-Association” chair at the ESO, succeeding Philip Sawyers who becomes Composer Laureate. 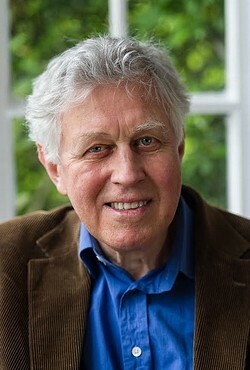 On 2 June 2018, Matthews appears as Visiting Composer at the Elgar Festival, Worcestershire’s newly launched annual celebration of the great English composer. The festival programme includes a performance of Matthews’ String Quartet No. 6 and the premiere of his new quartet arrangement of Elgar’s Sospiri in an afternoon concert by violinist and ESO Leader Zoë Beyers and Friends. An evening concert will feature Matthews’ much-admired orchestration of Elgar’s String Quartet performed by Woods the English String Orchestra in the Festival Gala Concert at Worcester Cathedral. In between, Matthews presents the bi-annual A. T. Shaw Lecture presented by the Elgar Society and the Elgar Festival. His topic is “Elgar’s Voice,” in which he will explore two aspects of Elgar’s very distinct voice – the public voice and the private voice. Among the works Matthews will discuss are In the South, Falstaff, the String Quartet (including his arrangement for strings as well as the original), and Sospiri, one of the most private of all of Elgar’s works. Throughout the autumn of 2018, celebrations of “David Matthews in the Heart of England” continue with performances and recordings by the ESO of Matthews’ Double Concerto for Violin, Viola and Strings and his Variations for Strings. In 2019, the project moves to Stratford-upon-Avon’s ArtsHouse and the Royal Birmingham Conservatoire for concerts by the Orchestra of the Swan. On 2 and 3 April 2019, OOTS presents Matthews’ Winter Remembered for viola and strings in Stratford and Birmingham, and on 28 May 2019 soprano April Fredrick joins the orchestra for the premiere of Matthews’ new song cycle, “Le lac” based on poetry of Alphonse de Lamartine. Kenneth Woods, who previously served as Principal Guest Conductor of Orchestra of the Swan from 2010-14, conducts all the orchestral concerts in this series, “Matthews in the Midlands”.